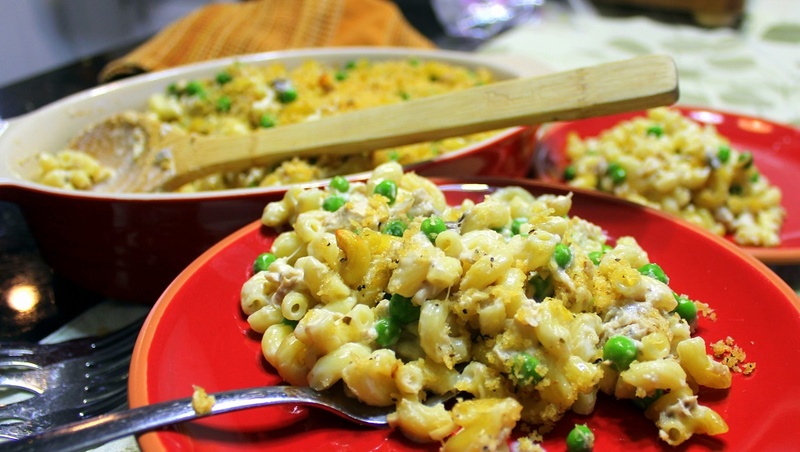 But not just any Tuna Casserole, this is another in my series of recipes showing off the glory days of yesteryear when Grandma's Casseroles ruled the Church Potluck Suppers! And this one did indeed rule. 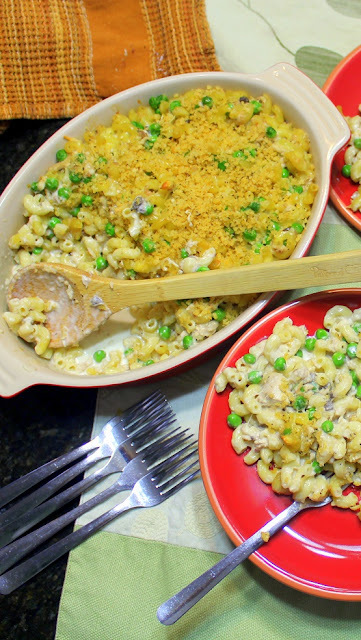 It is a take on the classic Tuna Casserole you might have found on the back of a can of Cream of Mushroom Soup. But my Granny added little extras... Like the nutty flavor of some Parmesan Cheese. She loved adding peas to about any casserole, but the peas in this made the dish look pretty, be a little healthy and taste better. 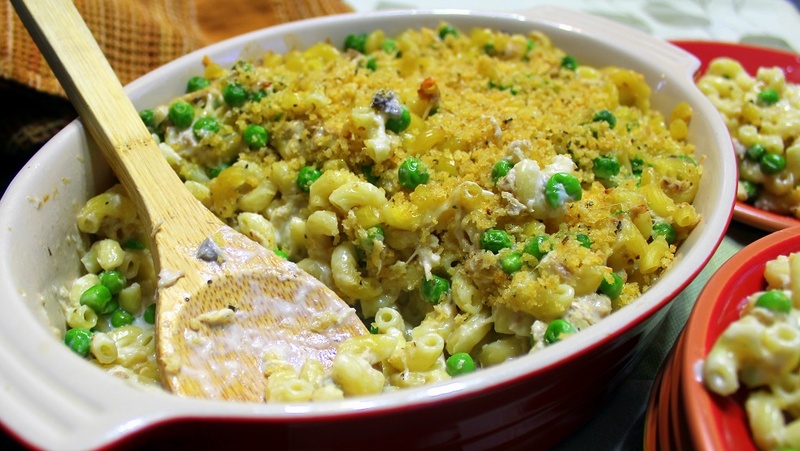 The crunchy topping and pasta make for a fun mix that always pleases... Way to go Granny! Keep scrolling down for the easy to follow recipe. But first, a word about Granny's wish list. Here's a few items that would have really made her life easier casserole-wise and glow at the Church basement! Spray a large 9X13 casserole dish with non-stick spray, transfer the tuna/pasta mix to the casserole dish. While the casserole is baking, in a small saute pan, melt the butter and add the Panko Bread Crumbs to the melted butter,. Saute for a couple of minutes, stirring constantly. 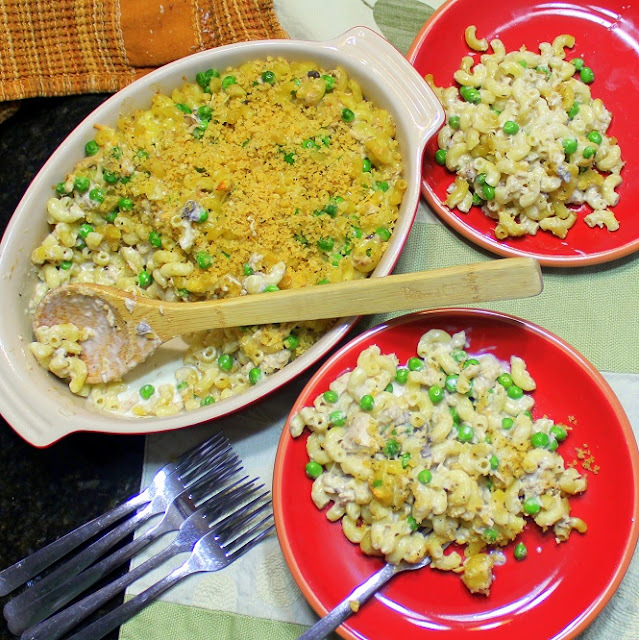 After 25 minutes, remove casserole from the oven, sprinkle the buttered bread crumbs evenly on the top. Return to the oven and bake for another 5 minutes until the crumbs just start to brown. Take your Food to the Next Level! Comforting, Warming, Delicious Scratch Made SOUP! Cul de Sac Cuisine. Making the most of local, fresh and best the suburbs have to offer. Just a little healthy eating, but always instructional and inviting. The suburban Cul de Sac is where it's at, and my back yard is the place to be! Girl Scout NO BAKE Thin Mint Truffles - EASY PEASY! What are the benefits of a Firm Mattress? For a good night’s sleep.